I will wait to see how price tests the support zone and the trend line 1 to decide buy or not. - If price breaks below 1280 level and trend line 1, I will sell. 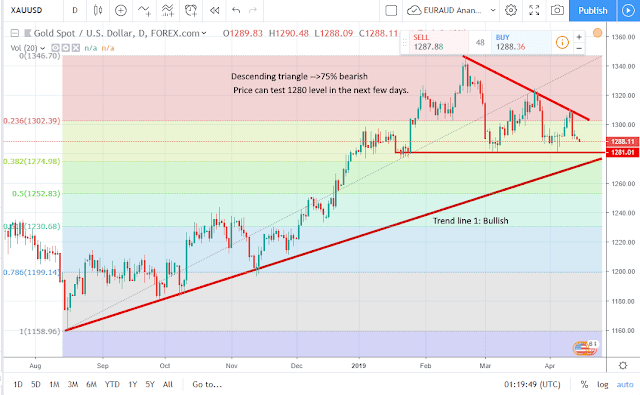 Price@1276.7 now, 1280 level support was not valid. No trades. Wait for pull back to sell.